Carefully measure the length from the crotch seam to the bottom of the leg. THIS NUMBER IS YOUR INSEAM. Use this number to help you choose your next pair of great-fitting pants. Start shopping by your inseam! Tip: Remember to take into account the height of heel you’ll most likely be wearing with the new pair, and add about 1/2 inch if you’re going to be buying pants that you’ll machine-wash to accommodate a bit of shrinkage. 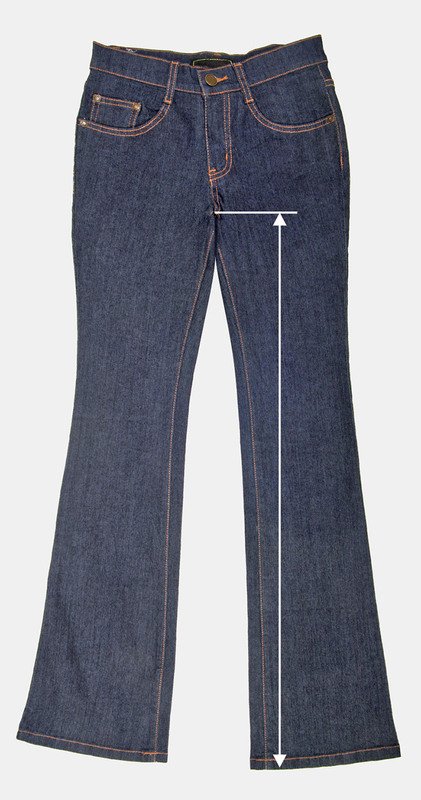 Tip: We’ve also found that with corduroy pants, we need an inseam 1/2 to 1 inch longer than normal. If you have any great tips about finding your inseam, contact us.